8 Set Sensor – Default 4 Set Source mode (Dry - Voltage Input) and & 4 Set Sink mode (Wet- Resistance Input). Security code identification and Hardware reset function. Each relay can support voltage of 250VAC / 30Vdc & current up to 10Amp Normally Open (NO), 6 Amp Normally Closed(NC). Individual LED indicates switch-working status. Safe, durable, non-electric leakage and anti-farmable design. Polar protection – will even connect contrary port. 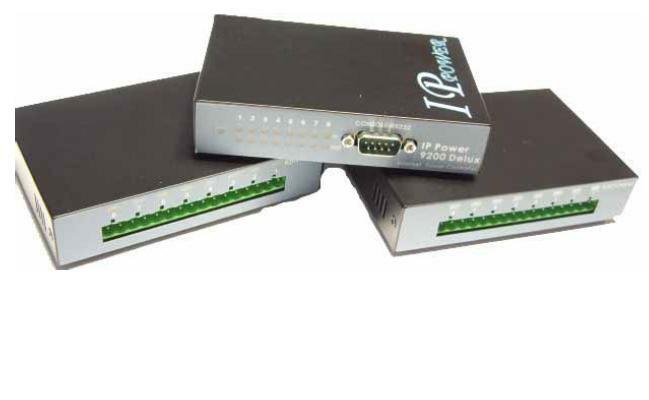 You can source Aviosys IP Power 9212 Delux from the vendor directly, your preferred distributor or from us as a standalone module for US $280 (plus postage and handling) or as a part of iMCA Controller package. As we work with our clients directly helping to shape their automation projects we do our best to minimise all costs wherever possible. Please contact our support service should you have any questions relating to this hardware or how it can be in use for your automation project.